It absolutely amazes me how tech-savvy children are today. Every day I read articles discussing how different technology is being used in education. From Minecraft to Wideo, there are thousands of applications, websites, and devices that are now available to make learning fun and easier. In fact, technology is so closely linked to education these days that you can find many websites dedicated only to using technology in education. Even in our own homeschool classes, technology plays a significant role. Do you use technology in your classroom? If not, discover how the latest technology can transform your classroom. Can you imagine what it would be like if you could provide each of your students with a classroom tablet or laptop and use some of the amazing apps now available to teach your students how to read, spell, count, multiply, and more....in English and Spanish? Most young people today are growing up with technology and are using it in every aspect of their lives. School should be no exception. 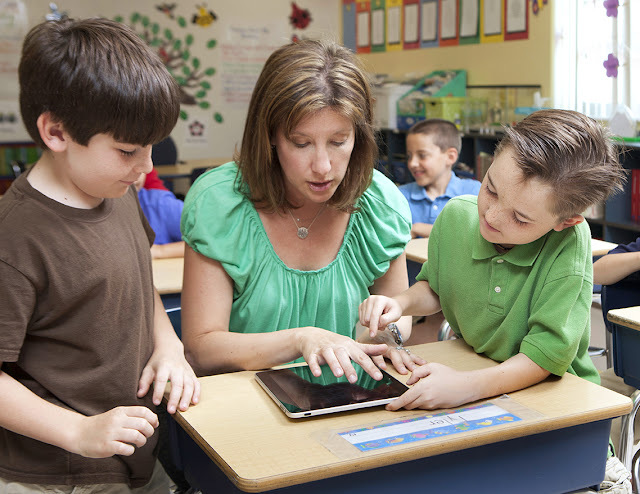 Best Buy Education believes every student should have access to technology. They offer a wide variety of tablets, laptops and chrome devices for classroom use, and have partnered with schools around the country to provide technology they need to succeed. They also offer on-site Geek Squad® training and support for students and faculty. Their dedicated Account Managers will consult with you, offer knowledgeable, unbiased advice and guide you to the product and service solutions that best meet your needs and budget. Whether you are rolling out new devices in the classroom, launching a BYOD initiative, or upgrading the technology throughout your school, they can provide the products, support and protection you need. 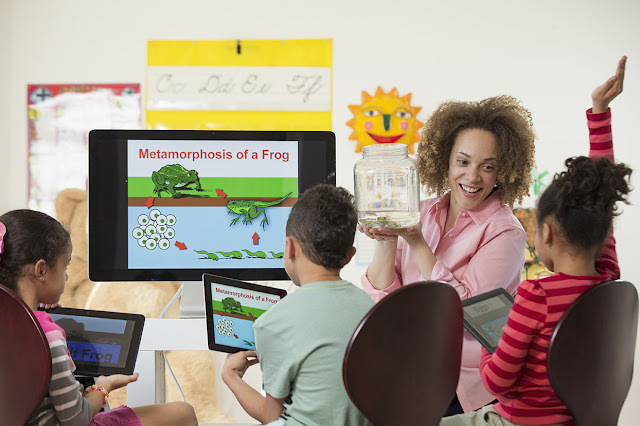 You can enter for a chance to win $25,000 in Best Buy Credit to upgrade your classroom devices! If you could use some help with acquiring new technology to use with your students and make learning more fun, easier, and modern, don't miss this great opportunity! If you are attending ISTE Conference and Expo on June 28 – July 1, Best Buy Education will be in booth #2262. Make sure you stop by and check out the daily demonstrations being held throughout the conference. Disclosure: This is a sponsored post with Best Buy. All thoughts and opinions are strictly my own.